Rise & Shine with Trust! Let your spirit shine through today! Release all the mental and emotional filters that your ego has constructed to block your view. Today is a fresh start. Whatever happened in the past is in the past, you do have the tools to help yourself because of these experiences, but this .. today … is not … that experience! TRUST! Know that when you listen to your soul, your intuition, your heart, you will never go down a path it’s not meant for you – but you have to learn to trust that inner voice! As you go along your journey, listening to and acting upon your intuition helps you obtain your goals and desires. When a conflict or challenge comes up you can recognize this, pay attention to your intuition making your life easier. So, as you rise and shine and Trust today,spruce yourself up! Put on a nice outfit, fix yourself up, put on your best smile! Do not hold on to the Past! Let your Spirit shine today! You are free from all that has transpired before! Author FreeBirdJourneysPosted on July 26, 2018 Categories Card of the Day, Oracle CardsTags abundance, colorado, faith, intuition, love, rise, shine, tarot card reader, trustLeave a comment on Rise & Shine with Trust! Your intuition is high today, are you listening and feeling it? You may receive a message about love today, it could be from a young person … a son, daughter or a younger sibling. This young person is gentle, kind, loyal, creative, sensitive. Perhaps it is from a suitor that is younger than you?! 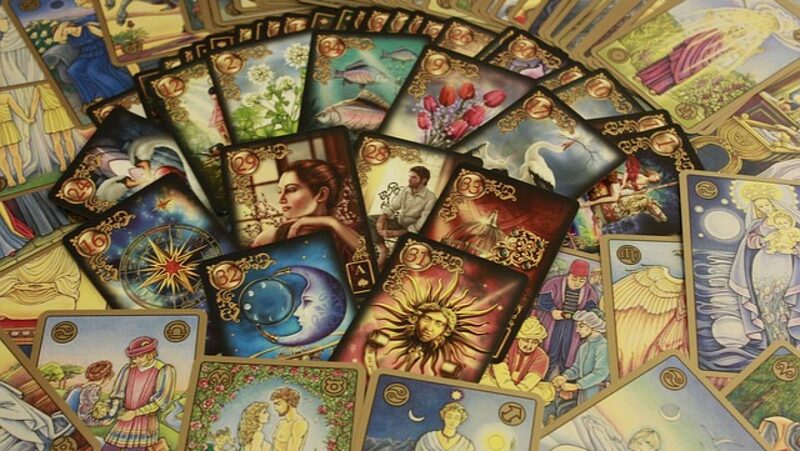 Tarot Readings via email start at $20USD, Phone Readings start at $35USD. Visit my website for more information. Link above ✔🔝 I look forward to working with you! Typically deceit or manipulations are just the result of thoughtlessness or fear. Really trust your Vibes today when it comes to your suspicions of others and pay attention to what your doing yourself. Know that your guardian angels are watching over you! Email readings start at $20USD, Phone readings start at $35USD, visit my website for more information. ✔🔝 Link can be found above in my Bio. Author FreeBirdJourneysPosted on May 25, 2018 Categories Card of the Day, Oracle CardsTags colorado, deception, guardian angels, guidance, gut instinct, integrity, intuition, lies, manipulation, tarot card readerLeave a comment on You’re Being Watched! Did you know that we are all psychic? Yep! You too have connected with the spirit world! That thing called your intuition, well there you go, that’s it … that’s a part of it! It depends how open you are, if you’re closed off, of course you can’t connect to a higher vibration! The more open and understanding you are the more your gifts decide to come through. The more you study, send out positive intentions, and meditate, the more you open up to hearing those messages and enjoying these mystical experiences! Email readings start at 20USD, visit my website for more information. Link can be found above in my Bio. 🔝✔ I look forward to working with you! March 25th: You may be holding back today, either financially or emotionally. You’ve put a lot of work in and now you’re hanging on too tightly for the fear of loss has its grips on you. You may also have “stuff” that you need to get rid of. You know… emotional baggage, or far too many material possessions that are cluttering up your little space of the Universe. First, tell your Ego to shut up and take a backseat and stay there! Next, talk to God (the Divine, the Spirit in the Sky, whatever name you use is fine!) and have a heart-to-heart with your Creator. Ask for direction, ask for help! Now listen with your Spirit, listen with your gut, your intuition; the availability of the Divine is with you always! Speak and tell the Divine what it is you need and expect guidance and support. Know that you are worth this and it is available to you always, for your Creator loves your Spirit and wants you to be happy! So take a moment to speak to God, and there you’ll find the answers. Author FreeBirdJourneysPosted on March 25, 2018 Categories Card of the Day, Oracle CardsTags colorado, Divine, ego, god, intuition, listen, spirit, tarot card readerLeave a comment on Speak to the Divine! You are in the driver’s seat today! These new spiritual experiences that you have made manifest are changing the way you view the world and yourself. Don’t be afraid of these new gifts that you are experiencing. Keep studying, putting in effort and self-discipline. As you continue to do so victory can be achieved and remember you are in the driver seat, it is all up to you about the path you pursue. It’s understandable if you have an inner conflict with this new spiritual enlightenment, focus upon the path and achieve your goals! Email readings start at $20USD, visit my website for more information. Link can be found above in my Bio. ↖✔ I look forward to working with you! Author FreeBirdJourneysPosted on March 23, 2018 Categories Card of the Day, Oracle CardsTags acceptance, colorado, intuition, psychic, spiritual growth, tarot card readerLeave a comment on You Are in Control!